When I first started this blog, I intended to blog about all sorts of things. Beauty products were my main interest and nail polishes were becoming an obsession of mine so that was the main focus of my blog. As I delved deeper into the beauty community, following many blogs and vlogs, I started to think of blogs and vlogs more from the readers perspective. I didn't just want to blog about what interested me, but what interested you as well. I thought if I posted about my other interests and hobbies here, you would not be interested. Having my blog be "beauty only" was fine for a while because beauty products were my main interest, but as other interests started taking over, my blog posts became less frequent. I have been thinking about what I should do about this. First, I thought about starting another blog, and I still might, but for now I am going to try switching up this one. I'm going to start posting about other things here. Mostly, papercrafting. I actually chose my name, BeautyScraps, because of beauty products and scrapbooking, the two main thing I originally intended to blog about. I have been an avid scrapbooker and card-maker for about 15 years now. I love all things crafty, really. I haven't decided if I'm keeping my blog dedicated to these two subjects or if I'm going all out and posting recipes, home decor, home renovations, baby/new mom stuff, more family/personal stories... really turn this blog into an online journal. We will see how it goes. I still might end up starting another blog for all things not beauty related. I'm all about experimenting in the new year! I just wanted to explain the changes and hope that you enjoy them, or at least still stick around for my beauty posts :) I so much enjoy reading and commenting on your blogs and hope that you continue to enjoy reading and commenting on mine! as well as weekly Sunday Samples and the occasional random nail polish swatches as well. As for my crafty posts, don't have an exact formula down yet. 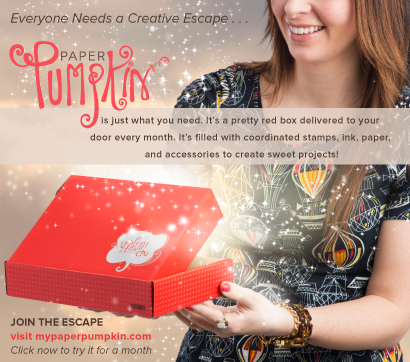 I did join 2 monthly subscription programs for scrapbooking. You know I love my monthly subscriptions! I joined Gossamer Blue's "Life Pages Kit Club" which is for pocket style or Project Life style scrapbooking. I am starting a pocket style album for 2014 and I am going to post my layouts and page progress/process here. I also joined the Scraptastic Kit Club. I chose to subscribe to the traditional style kit from Scraptastic. I still love traditional 12x12 scrapbooking, but because I'm having a baby (in about a month!) I am trying to be realistic about the time I will have to craft and the ridiculous amount of photos I'm going to take. 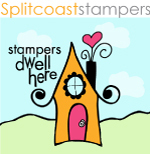 The pocket style of scrapbooking is going to be quicker and easier and I will be able to include more photos. I am gong to also try to keep up with a traditional 12x12 scrapbook for my favorite photos of 2014. So I will also post my 12x12 layouts here. I may post kit reviews, too like I do with my beauty box reviews. Each scrapping site also posts monthly challenges which I will post here to whenever I join in. And, finally, I also plan to share the greeting cards I create. All my crafty friends know that crafters hate to waste anything and I'm always using my scraps to make cards. Yay! I am very excited for the many changes that lie ahead in 2014! Happy New Year!